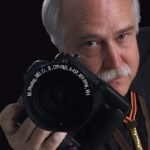 The Professional Photographers of America (PPA) has awarded Rapid City, SD & Seattle, WA photographer, Edgar W. Matuska, the status of PPA Juror Emeritus for his outstanding service as an Approved Juror and for his dedication to the PPA judging process. This honor & recognition is awarded to retiring or retired Jurors for their past service in maintaining the high standards & excellence of the PPA’s Print Competition & Exhibition. Ed will maintain the title of PPA Juror Emeritus in perpetuity. Ed owned & operated Samuel’s Studio in Rapid City, SD for over 4 decades. Ed also served as President of SDPPA, Was awarded the National Award by SDPPA, & was SDPPA’s Photographer of the Year 14 times. As a PPA Approved Juror, Ed was a qualified judge in the Portrait,Wedding, & Illustrative classifications, & was one of a few Commercial & Electronic Imaging PPA qualified judges. On occasion, he also judged the Master Artist classification as well. As a JE, Ed will be expected to serve as an image competition mentor to his fellow PPA & state associations’ members. He may also serve in the mentor’s booth at Imaging USA, as well as submit judging evaluations for perspective and probationary jurors. Ed will still judge at local, state, & regional approved competitions sites. Ed will add the Juror Emeritus (JE.) to his current credentials: Master of Photography (M.Photog. ), Master of Electronic Imaging (MEI), Photographic Craftsman (Cr), Certified Professional Photographer – Photographic & Electronic Imaging (CPP – P & EI. ), Associate – American Society of Photographers (A – ASP. ), Associate Fellow of Photography – Professional Photographers of Washington (AFP – PPW. ), Rushmore Honoree (RH).